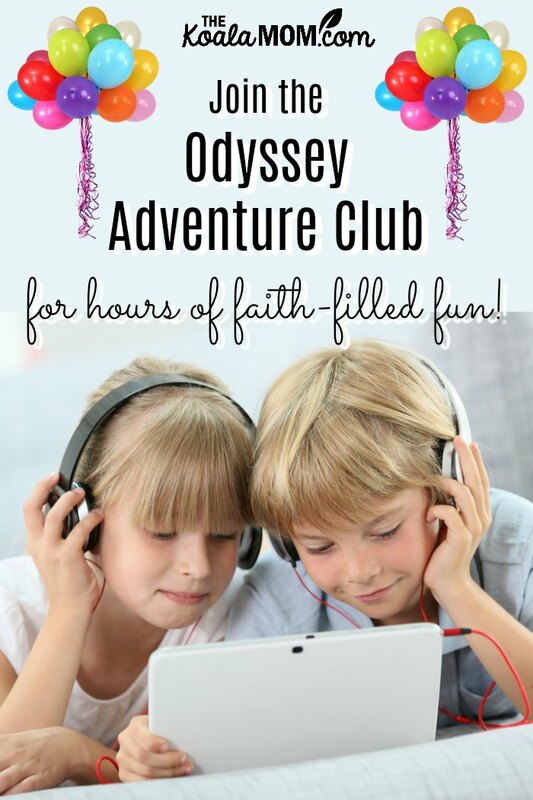 I grew up listening to Adventures in Odyssey, a fun series of audio dramas for kids produced by Focus on the Family. My family’s collection of tapes moved around with me even after I got married. Somehow it got lost in one of our last moves. I’ve been kicking myself for that and wishing I could find those tapes again. Sunshine and Lily are getting into audio stories and I think they’d really enjoy the same stories I did when I was their age. So I was thrilled to have the chance to join the Odyssey Adventure Club. What’s the Odyssey Adventure Club? Are your kids in need of a safe and fun environment where they can explore, create and imagine, while developing their faith and learning Biblical truth? Enter the Odyssey Adventure Club (AOC)! Families can stream the Adventures in Odyssey library, plus listen to exclusive new monthly episodes. Get 24/7 access to the content through the Odyssey Adventure Club mobile app. Recently, we listened to “The Drop Box”, a story about Whit and Eugene going to South Korea to meet Pastor Lee Jong-Rak and find out about his work with abandoned babies there. My husband and I just watched The Drop Box, so I had fun listening to Lily tell me all about Pastor Lee and the babies he rescued. And because it’s a difficult topic to discuss with kids, I was glad Adventures in Odyssey told it in a story that was easy for the girls to understand. 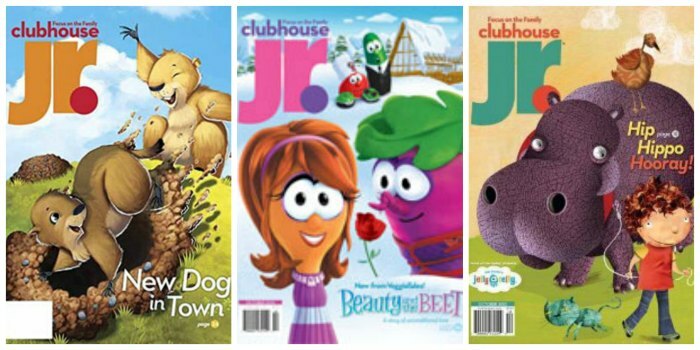 If your kids love the Odyssey Adventure Club, they’ll also love the Clubhouse and Clubhouse Jr. magazines! Created with kids in mind, Focus on the Family offers a world of fun and imagination through short stories, jokes, puzzles, and games as well as recipes and activities to do as a family. Plus, what child doesn’t like mail? Your child will enjoy getting this entertaining magazine each month in the mail, just like my girls do! Sunshine and Lily have been getting Clubhouse® Jr. every month from Grandma for a couple years now. I tried to explain the idea of a subscription to them, but they’re still surprised when another magazine shows up every month. Their excitement is so cute! They pour over the magazine together. I think their favourite section is the jokes… so it’s a good thing we get new jokes every month. 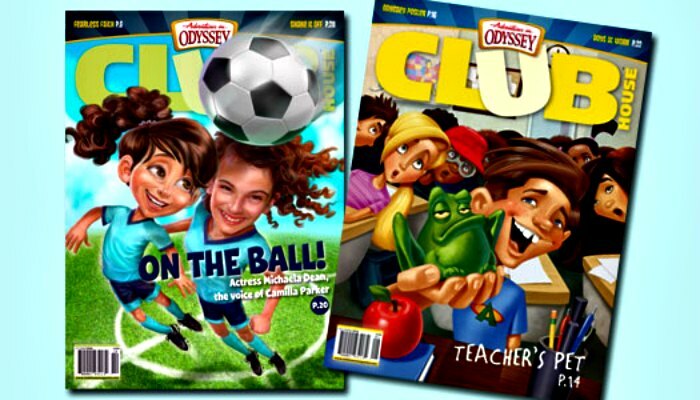 Each Clubhouse magazine also features the “Odyssey Insider,” a newspaper-like preview from Adventures in Odyssey. For example, the October 2018 magazine features a blurb about the current Odyssey Adventure Club episode and a Verse of the Month. Plus, Odyssey Adventure Club members are able to listen to Radio Theatre adventures such as At the Back of the North Wind, available only for a limited time in the app. Many Odyssey Adventure Club episodes are about current events or activities. 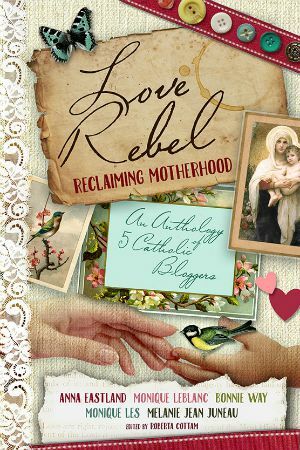 For example, Album 58 was inspired by Focus on the Family’s The Family Project, a 12-session small group experience that explores the theological, philosophical, and cultural underpinnings of the traditional family, and combines that information with inspiring stories and practical tools to help 21st-century families thrive. Focus on the Family and the Odyssey Adventure Club are also proud to support Bring Your Bible to School Day. Every October, students from kindergarten to college bring their Bibles to school to celebrate religious freedom and share God with their friends. How much do you know about the Bible and its influence on our culture, history and the whole world? Focus on the Family and Bring Your Bible have teamed up to create a Bible Challenge to test how much you and your kids know about the Bible. Take the quiz to find out! While you’re waiting for October to roll around, check out the Newsboys in God’s Not Dead 2. This movie features a high school girl and her teacher in a legal fight for religious freedom. The reporter in the movie just happens to be good friends with one of the Newsboys, who sing a few songs in the movie. 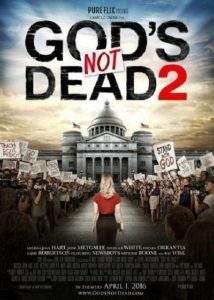 God’s Not Dead 2 is a clean, family-friendly movie that would be a great way to talk about religious freedom with your teens. Plus, the Odyssey Adventure Club has a fun story about Bring Your Bible to School Day. Getting used to a new school isn’t easy, especially for someone as paranoid as Buddy Norman. In “A Predicament of Biblical Proportions” he envisions wacky worst-case encounters with townsfolk who seem like mobsters, snoops and fairy-tale tyrants—until he gets to know them. He’s also a little confused about Bring Your Bible to School Day. What’s it about? Should he participate? See Odyssey through Buddy’s eyes in this witty celebration of religious freedom. 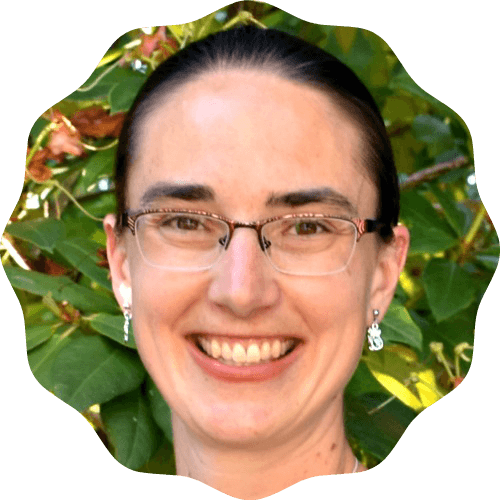 Plus, More Resources for Your Family! 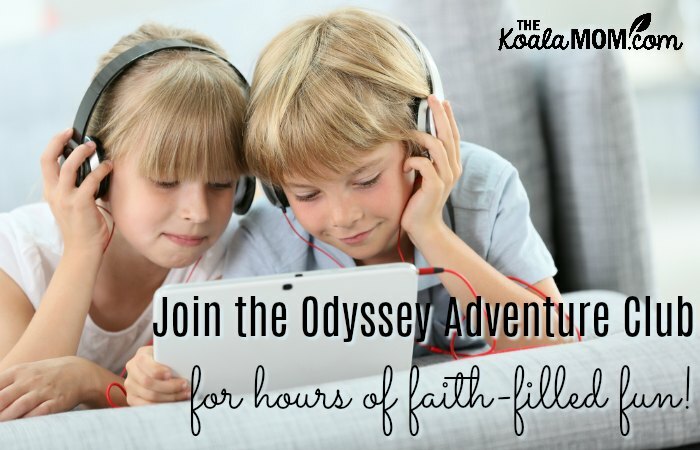 Have you ever listened to Adventures in Odyssey or other radio dramas and audio books? Do your kids enjoy listening to stories on tape or CD? I grew up listening to AIO also!! I loved them. That’s so neat that you can join now for only $5! I’ve been enjoying the Android app that has a few episodes to listen to for free. If Wyatt were older, though, I would definitely be wanting to join the club!